The newest Vin Diesel vehicle, Riddick, spends its first act brooding. Our titular hero is stuck on a planet, abandoned by a group of people who were meant to be allies. It’s a world full of monsters, and fans of the science fiction franchise might relish Riddick taking on some aliens with claws and fangs. For the rest of us, Riddick offers a long trek through a barren landscape with naught but a dog for company. That is, until the bounty hunters show up. 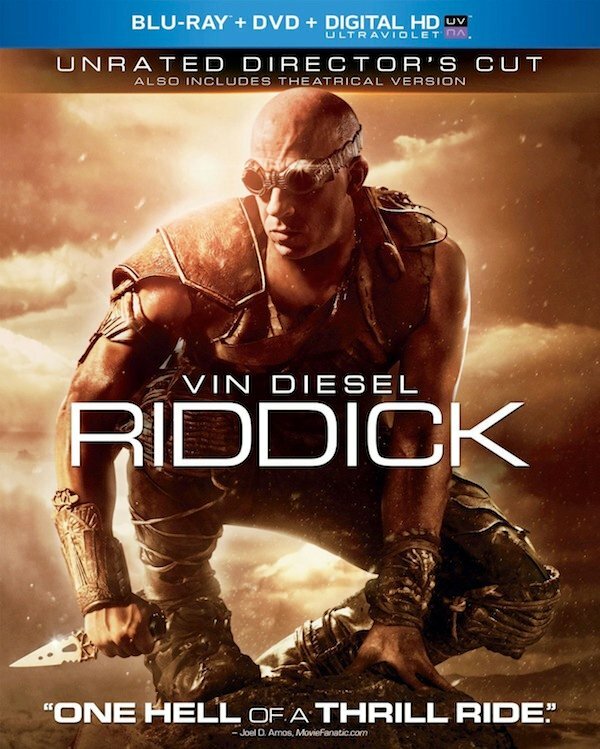 Riddick is the third film of its ilk, following the 2000 film Pitch Black and 2004’s Chronicles of Riddick. The latter film left him as a head of the necromancers, a leadership role that clearly didn’t align with the character’s loner attitude and survivalist instincts. Thus, it’s fitting that Riddick picks up five years after the character found himself a part of the necromancer population. He’s struck a deal that didn’t end well, and he very well could pay dearly for it. An arid planet and a man of few words hardly make for the most exciting setup, and unfortunately director David Twohy’s latest doesn’t get really exciting until rather late in the game, when a crew of monsters begin to awaken from the dust. Leading into this, we do get to meet a couple of crews of bounty hunters, played by Katee Sackhoff, Matthew Nable, Jordi Molla, Dave Batista and others. This brings out Riddick’s signature graphic behavior as well as a few moments that are even comedic. If the film could have sped up its opening setup, no doubt, it would be a much tighter flick. As a whole, Riddick is an R-rated romp that doesn’t hold back on language or vulgarity, but it does still retain the sensibilities of the older films. With a Blu-ray purchase, fans can catch even more of these sensibilities with the unrated version of the film. While new viewers may not be particularly interested in this release, it’s a satisfying enough sequel for fans that comes in a set offering plenty of behind-the-scenes footage and other extras. More on that, below. You can order Riddick over at Amazon. Best Special Feature: You can tell how focused and excited the cast and crew were during the making of the film if you give the bonus features a shot. A lot of the extras are lengthy, and give plenty of information, as well. The segment about the technology in the film is interesting, but the "World of Riddick" is probably the best extra on the disc, taking you behind-the-scenes during the building of the set, but also spending time with director David Twohy’s vision. There’s a lot of VFX, and the look of the film is discussed, as well. Last year was an excellent year for horror films, with Mama, The Conjuring, and even the The Purge finding box office success and staunch fan bases. Among the latest entries in the horror genre was Carrie, a remake of the classic 1976 film that is set in the modern day and features Chloe Grace Moretz and Julianne Moore as one of the world’s most unlikeable mother daughter teams. A story about bullying is particularly timely, and audiences won’t be able to help feeling bad for the titular character early on. Raised and somewhat homeschooled by a crazy religious mother, Carrie is very behind socially and isn’t aware of many of the changes happening to her teenaged body. This makes her an extremely insecure individual, a facet we haven’t really seen Moretz attempt before. She’s pretty good at playing the shy character, but she’s not as exciting as Moore, who takes religious fervor to another level, puncturing her legs with a seam ripper whenever she gets stressed. It’s one of the many reasons Carrie earns its violent reputation this time around. Carrie’s a lot like its predecessor, but with a few twinges to modernize the settings, wardrobes, vocabulary and music. It’s certainly not the classic we’ve known for quite some time, but with its fiery performances and a nice Blu-ray combo pack complete with an excellent 3D cover, it’s still a set worth perusing. You can order Carrie over at Amazon. Best Special Feature: The alternate ending is worth a watch, but it can’t be activated straight from the menu page after you watch the theatrical edition. There are also a ton of deleted scenes available with the set. Some of them are truly out there or are even played for weirdly comedic effect, and it’s easy to see why they were cut. However, there are a few truly interesting scenes showing Carrie and various events from her childhood that are worth checking out. Pride and Prejudice has become an iconic miniseries, thanks to an interesting take on Jane Austen’s most famous work and a gleefully scandalous scene during which Mr. Darcy emerges from a pond, dripping wet and looking gloriously handsome. Many an Austen or British TV fan might already own the famous project DVD. However, this week Lionsgate Home Entertainment is releasing the film onto Blu-ray and DVD in a special Keepsake Edition that comes with a slew of new bonus features. Those unfamiliar with the charms of Elizabeth Bennet (Jennifer Ehle) and the delightfully awkward Mr. Fitzwilliam Darcy (Colin Firth) should easily find themselves immersed in a world of matchmaking and moral fortitude when watching the series. Ehle and Firth are particularly watchable, but Alison Steadman puts in an amusing performance as the foolish Mrs. Bennet. The series first aired in the U.K. in 1995, but has enjoyed continual popularity ever since. The TV drama’s transfer onto Blu-ray looks clear, and an entire featurette on the disc is dedicated to the process, which shows how much more natural and colorful the restoration work looks. Additionally, the release offers several brand new bonus features and nine extras in total, including one celebrating the 200th Anniversary of Austen’s famous work, which actually occurred in 2013. A whole section is dedicated to all of the crazy dances that the actors had to accomplish during the filming of the series. What’s most likeable about the segments is that many members of the cast and crew were on hand long with several historians, who add very different perspectives to how the miniseries panned out. Other extras look at the life of the fabulously wealthy, as well as the music present in the show. Some of the extras are a bit stuffy, but if you are a huge Pride and Prejudice fan, there’s a lot to learn on the disc. Using the word keepsake in the title is a little confusing, as there are no material extras that come along with the Blu-ray, but the set is charming, nonetheless, with original previews for popular nineties films. 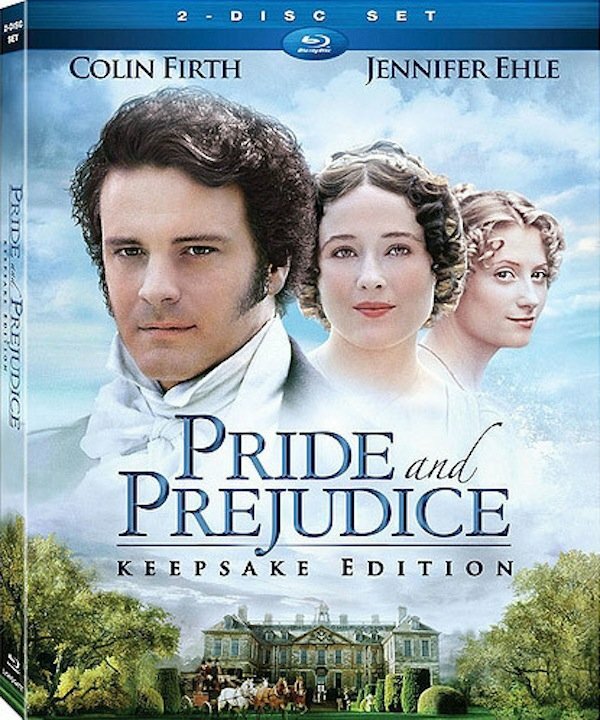 Still, the bonus features are a nice addition, and if you don’t already own a copy of Pride and Prejudice in your collection, the Keepsake Edition should be the go-to copy. You can order the set over at Amazon. Best Bonus Features: Four brand new extras are included with the set, some of which are discussed above. None of them are extremely lengthy, and they all take a look at the history of the early 19th century, how Austen portrayed the period, and how that translated to television. Those extras are "The Definitive Pride and Prejudice" featurette, "Love or Money? Courtship and Marriage in Pride and Prejudice," "The Music of Pride and Prejudice" and "Lifestyles of the Wealthy in Early 19th Century England." Other Special Features: "Pride and Prejudice: A Turning Point for Period Drama"
"An Impromptu Walkabout with Adrian Lukis and Lucy Briers"
After the dearth of releases over the past several weeks, this week has been a welcome change, offering fans films of quality, films with plenty of entertainment value, and films with heart. There are releases to suit every demographic and taste this week, an idea that is evidenced in this column, as well as the list of other releases available, below. 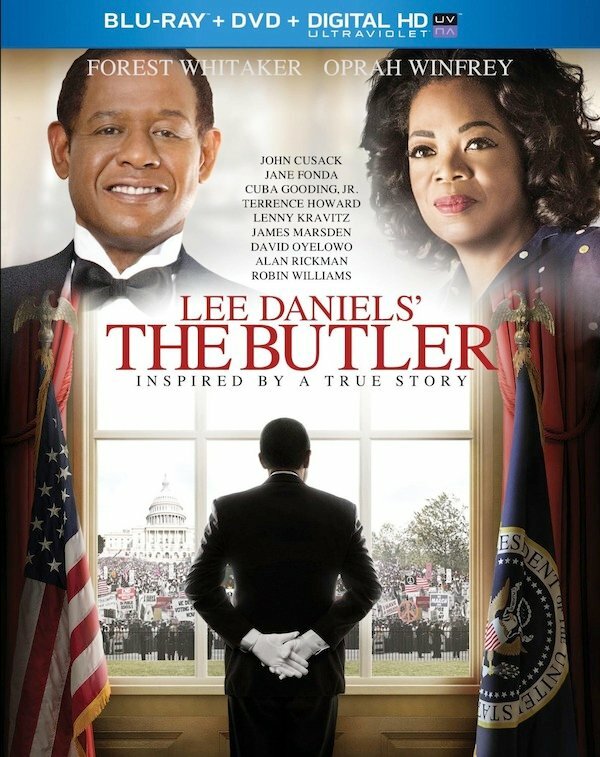 Take a moment to peruse the list of flicks, including the critically acclaimed Lee Daniels’ The Butler and The Spectacular Now, as well as one last performance from James Gandolfini, who appears in Enough Said. Unless otherwise noted, the releases are available on both Blu-ray and DVD.